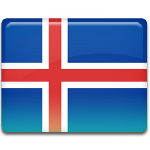 In Iceland, the birthday of the country’s President is an official flag day. On this day, the national flag of Iceland is raised on all official buildings. The birthday of the incumbent President of Iceland, Guðni Thorlacius Jóhannesson, falls on June 26. Guðni Thorlacius Jóhannesson was born on June 26, 1968 to sports instructor Jóhannes Sæmundsson and teacher and journalist Margrét Thorlacius. A historian and translator, he got his degrees from the University of Warwick, the University of Iceland, St Anthony’s College of the University of Oxford, and Queen Mary University of London. As a historian, Guðni’s field is modern Icelandic history, including the Cod Wars, the Icelandic presidency, and the Icelandic financial crisis. As a translator, he is known for translating four works by Stephen King into Icelandic. At the time of his presidential candidacy Guðni worked as a senior lecturer at the University of Iceland. Guðni Jóhannesson is the youngest president in Iceland’s history. He decided to run for office in May 2016 and was elected on June 25 after receiving almost 40% of the vote. During his presidential campaign, Guðni stated that he would be a “less political president” than his predecessor (indeed, Guðni wasn’t affiliated with any of the country’s political parties). In December 2016, he has unprecedented approval ratings of 97%.